Whether you use vertical or horizontal electrophoresis, Lab Manager is here to help you get started in finding the right equipment. Can you blot in the same tank as you run the gels? Can you run precast and handcast gels with the same electrophoresis equipment? How many gels, per experiment, can you run at once in a single electrophoresis cell? How fast can you visualize your proteins in the gel and how fast can you run a set of gels with optimal performance? Does a precast gel give you the same separation as a handcast gel? Do you need any special buffers or sample buffer to run your gel? How efficiently can you transfer your high molecular weight proteins from your gel to a membrane? How fast can you transfer proteins from your gel to a membrane? 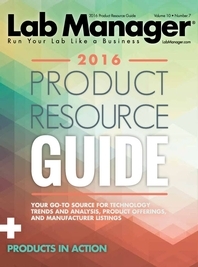 Do You Need Electrophoresis Systems in Your Lab? Learn about exciting new applications and more from our latest survey results. 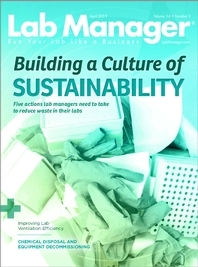 Another summer, another Lab Manager Product Resource Guide. Or is it?